Houghton Mifflin Harcourt, 9781328987822, 304pp. From the author of The Calligrapher’s Daughter comes the riveting story of two sisters, one raised in the United States, the other in South Korea, and the family that bound them together even as the Korean War kept them apart. Told through the alternating perspectives of the distanced sisters, and inspired by a true story, The Kinship of Secrets explores the cruelty of war, the power of hope, and what it means to be a sister. EUGENIA KIM’s debut novel, The Calligrapher’s Daughter, won the 2009 Borders Original Voices Award, was shortlisted for the Dayton Literary Peace Prize, and was a critics’ pick by The Washington Post. Her stories have appeared in Asia Literary Review, Washington City Paper, Raven Chronicles, and elsewhere. Kim teaches in Fairfield University’s MFA Creative Writing Program and lives in Washington, DC. "A graceful, poignant, and moving portrayal of one family’s struggle to remain a family through decades of war, migration, and separation." 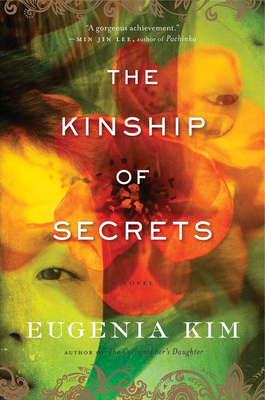 "Eugenia Kim succeeds in crafting intimacy in her story and characters...The Kinship of Secrets evokes the feeling of humanity and what it means to be family." "Two sisters separated by a war and an ocean are at the center of this new novel by Eugenia Kim. In it, one daughter is left behind in South Korea while her family takes her sister to the United States in hopes of building a new life. "—Southern Living, "Fall 2018 Book Releases We're Excited to Read"